Rather than advertising on the Super Bowl, Domino’s decided to create a program to reward people for ordering pizza, even if from a competitor. With the Domino’s mobile app, customers can sign up for the Piece of the Pie Rewards loyalty program and then scan their pizza. Customers earn 10 points per pizza and after 60 points, they can get a free pizza from Domino’s. 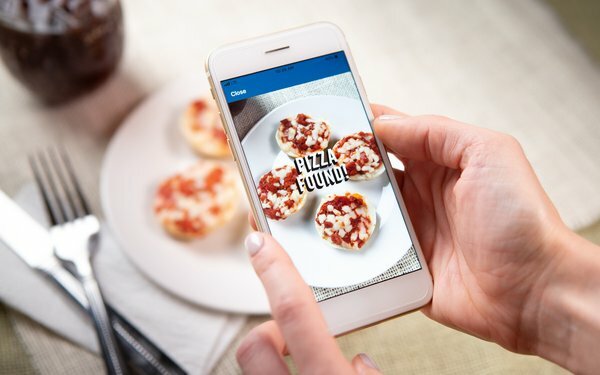 "This is the first time Domino's is using AI technology like this," stated Dennis Maloney, Domino's chief digital officer. "It will be running the pizza identification process and is already smart enough to identify all pizza, even if it is a homemade English muffin pizza, a pizza with a hotdog stuffed crust or a high-end artisan pizza. It can even identify if it's a dog's squeaky pizza toy." The AI software is used to determine that the image scanned is really pizza. Domino’s CEO Ritch Allison is scheduled to appear in TV commercials for the program and Domino’s is featuring a video of it on its website.